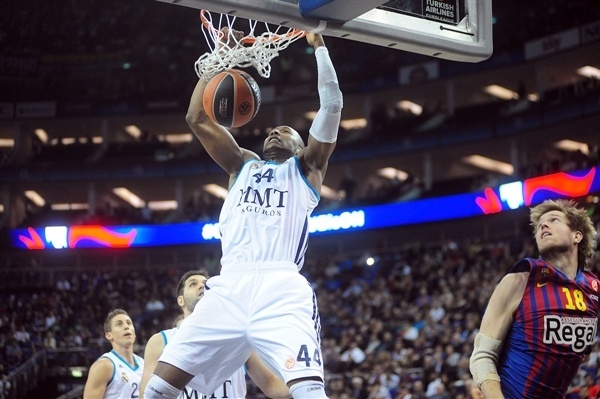 Real Madrid is one win away from what could be its first Euroleague championship in nearly two decades after holding off archrival FC Barcelona Regal 67-74 in an exciting second semifinal in the 2013 Turkish Airlines Euroleague Final Four at The O2 in London on Friday night. 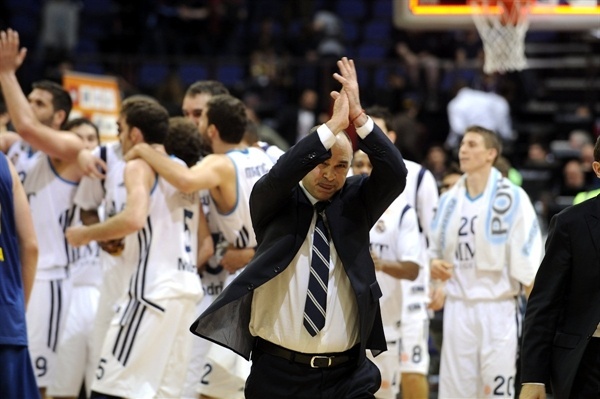 Los Blancos advanced to Sunday’s final, where they will meet reigning champion Olympiacos Piraeus, the same club Madrid defeated for its last crown in 1995. Felipe Reyes scored 11 points during a 2-17 fourth-quarter rally as Madrid took control of what had been a tight back-and-forth contest till that point. Reyes finished with 17 points in 19 minutes. 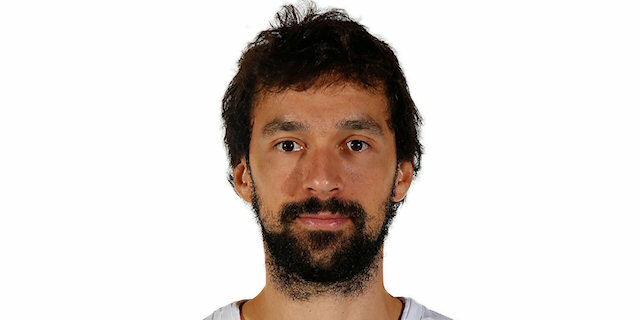 Sergio Llull, who scored 11 second-quarter points after Madrid fell behind early, finished with 13. 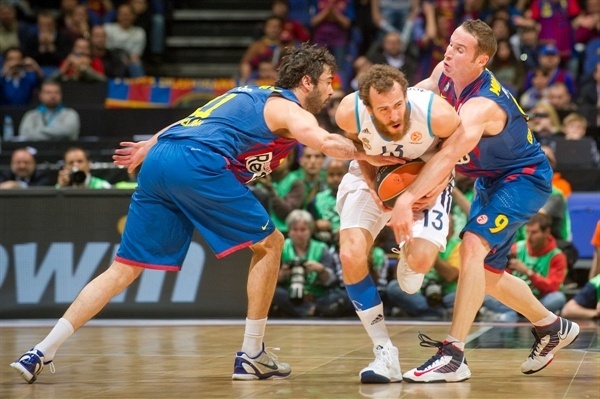 Sergio Rodriguez tallied 13 points and 9 assists – he was 1 assist away from a Final Four semifinals record! 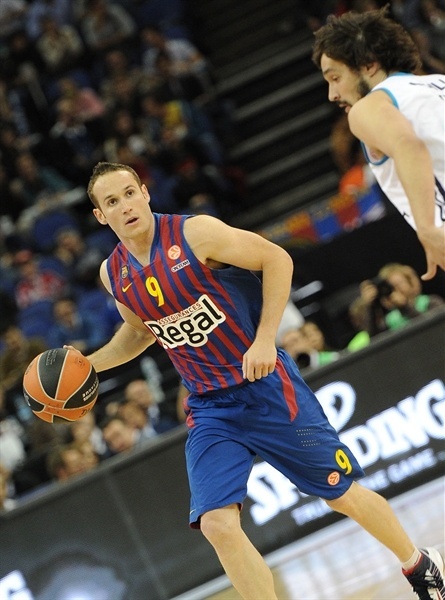 Marcelinho Huertas paced Barcelona with 19 points and Ante Tomic tallied 18 points and 12 rebounds in defeat. 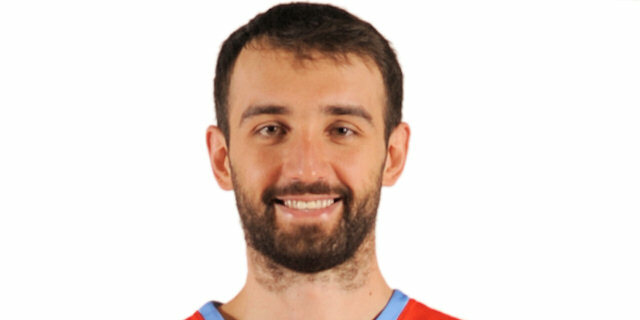 Tomic scored 4 of 4 free throws, the only points on either end of the floor in the opening three minutes of the game, before Nikola Mirotic sank a three-pointer from the right corner for Madrid. 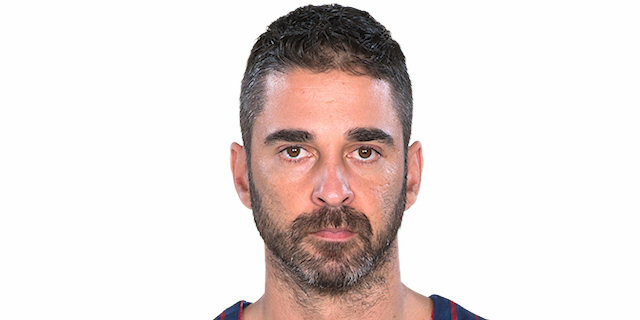 With a jumper from Huertas and a triple from Navarro, Barcelona went up 9-3. Carlos Suarez answered with a three-pointer of his own, but Huertas made a runner and Tomic a layup for 13-6. 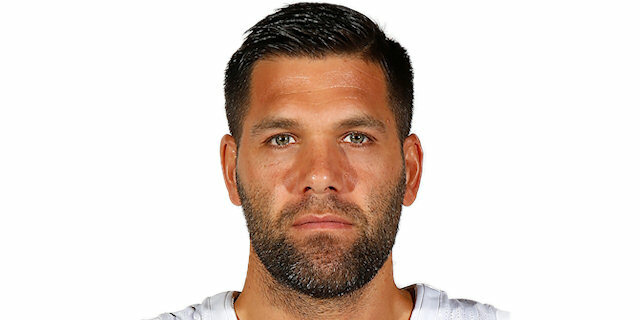 On the other end, Mirotic made a basket-plus-free throw, but Navarro topped that on the ensuing possession with a triple-plus-free throw as the margin reached 16-9. 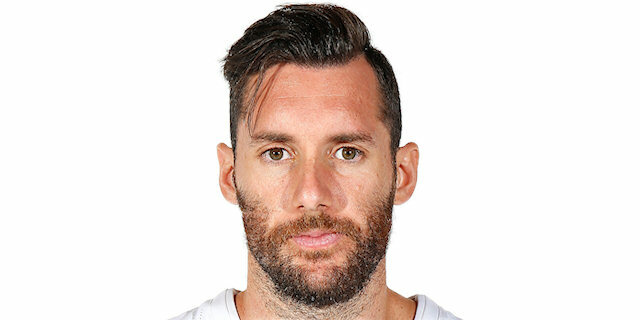 A fastbreak layup from Rudy Fernandez marked the only points Barcelona allowed in more than three minutes to end the quarter, and a pair of free throws from C.J. Wallace gave it an 18-11 advantage after 10 minutes. 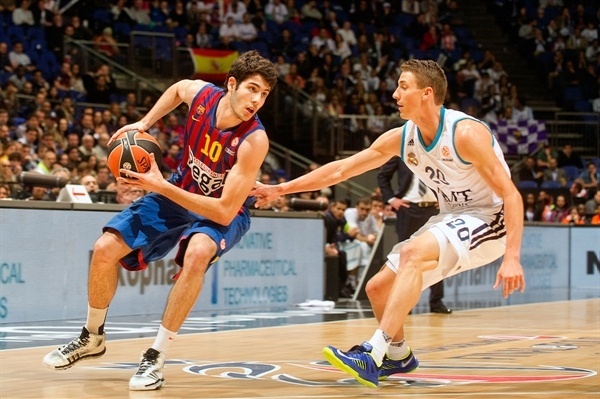 Llull opened the second quarter with a triple, and Marko Todorovic made an easy layup for Barcelona. Madrid came within 20-19 with a Reyes layup after a behind-the-back pass from Rodriguez, and with another triple by Llull. The game picked up pace as Navarro answered right back with his third triple, and Llull countered with his third shot from downtown in as many minutes to make it 23-22. Sarunas Jasikevcius and Rodriguez traded close-range baskets, before Rodriguez added a triple to his tally, giving Madrid its first advantage, 26-27. 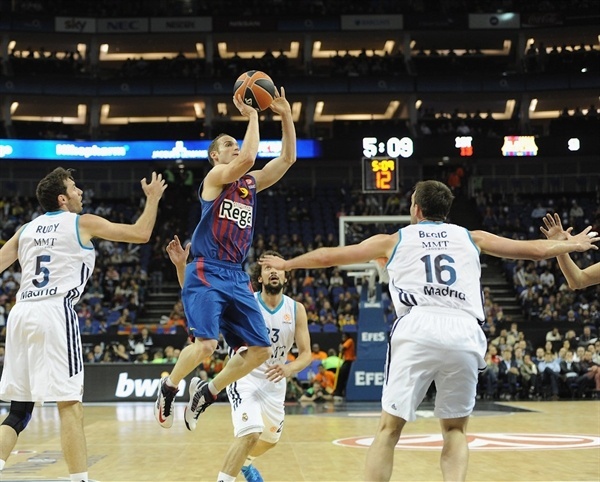 Tomic made a basket-plus-foul on the other end to start his string of 7 consecutive points for Barcelona, but layups from Marcus Slaughter and Fernandez, with a jumper from Reyes in between, put Madrid up 29-33. 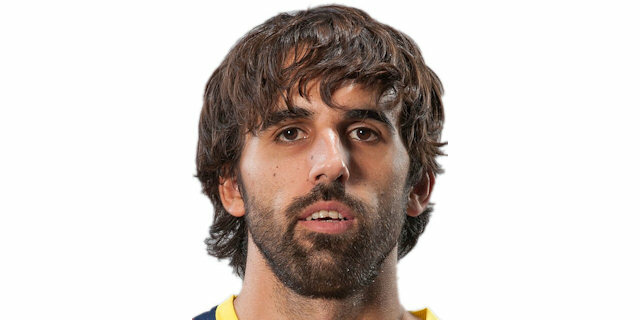 Rodriguez nailed a jumper, and Llull made a driving layup to extend the margin to 6. In the last 20 seconds of the quarter, Tomic hit a mid-range shot before Reyes rounded out the scoring with a put-back, giving his team a 33-39 halftime lead. 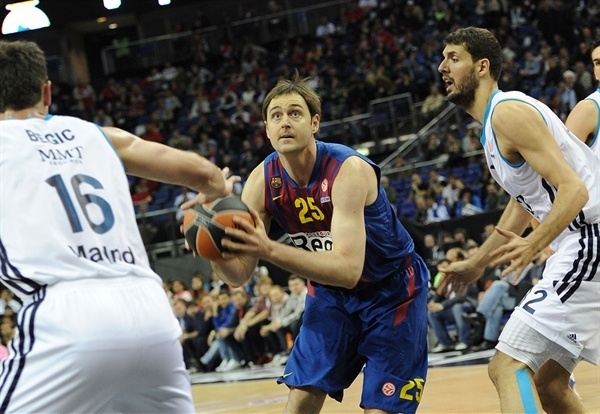 A dunk from Mirza Begic started the scoring in the third quarter to give Madrid a 33-41 lead, but Barcelona answered with a 7-0 run during which Erazem Lorbek got a favorable bounce on his mid-range jumper, and Huertas nailed a three-pointer. A dunk from Tomic assisted by Navarro tied the game at 42-42, but Suarez sank a three-pointer to put Madrid back in front. Tomic added another easy close-range bucket, bringing his personal tally to 18 points midway through the third quarter. Fernandez kept Madrid in front with a driving layup, 44-48, but Barcelona did not allow another basket for the last three and a half minutes of the quarter. 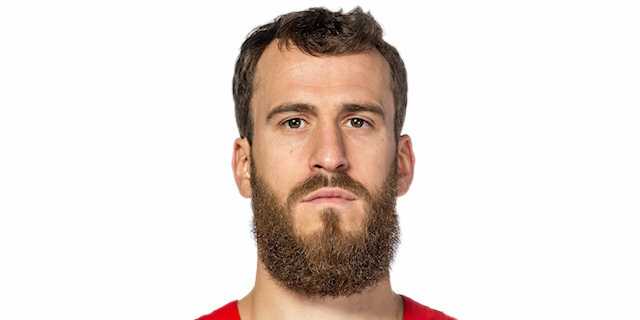 Meanwhile, Lorbek made a put-back, before Huertas nailed a three-pointer and then hit a runner off the glass to make it 51-48 after three quarters. Huertas continued his run of points in the fourth quarter, making a tough three-pointer off the glass, and Jasikevicius made a stop-and-go drive to the hoop for 56-48. After a timeout, Slaughter made a dunk and a layup, but Jasikevicius hit a jumper and Joe Ingles nailed another for the largest lead of the night for any team, 61-52. 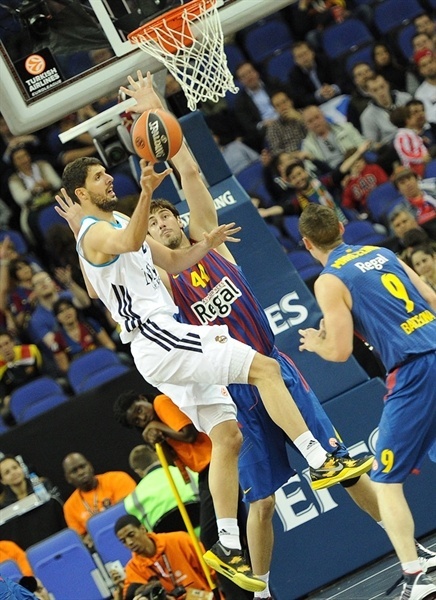 However, Madrid quickly halved that lead with Reyes scoring 5 points, including a layup-plus-foul on a fastbreak. Lorbek ended Barcelona’s drought with a put-back, but Reyes answered with a reverse layup before Rodriguez stole the ball and raced for an uncontested layup, 63-63. 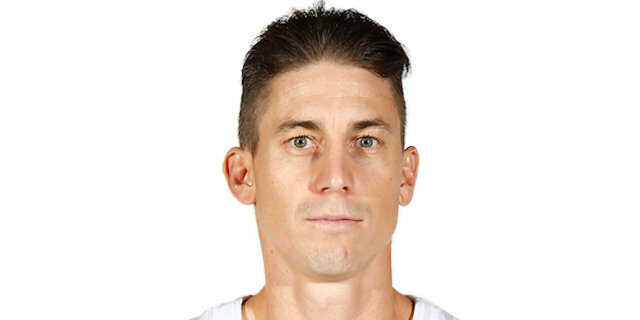 After Jaycee Carroll’s put-back, Reyes made a layup to cap a 2-17 run and give Madrid a 63-69 lead. 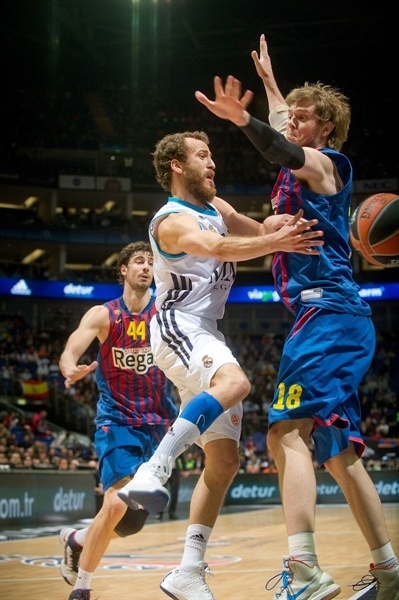 Huertas snapped the run with a pair of free throws, but Madrid did not allow any more than that. Rodriguez split free throws in the final 30 seconds, and Fernandez stole a long pass to seal the deal. "Congratulations to Real Madrid on the victory in a game that we played very well until the final seven minutes. We built a 9-point lead and then we did a lot of things poorly. We failed in a lot of things. Madrid had a very good game. In the end, we were nervous and lost our chances. It is a real shame for us. We came up a bit short. We played well for 33 minutes and then we threw it overboard. This leaves a bad taste in our mouths." "When you lose, there are no excuses possible. We talked about our situation enough. We had a lot of negative elements against us. Felipe Reyes really hurt us badly inside. We knew rebounds would be key. We were punished by rebounds. In the last stretch of the game we were missing mental strength and endurance. And in the end we had seven bad minutes that sent us home." "These are very painful moments. But we have some time to recover from a game like this. We had a chance to win and we have to see that positively. But when you get there and it slips through your fingers, it gives you a great deal of pain." "What an exciting game, which we knew it was going to be. 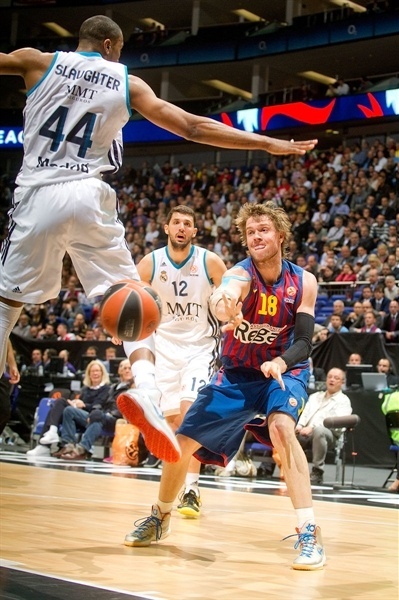 Probably all around Europe, people now know what Barcelona vs Real Madrid means in basketball. Both teams had good moments and bad moments. The good thing about my team is that from the first moment of the season they knew they could always come back. When we were down the most, we changed the defense and made some stops and were able to make a run and that is basketball." "When you have a team and you want it to be a team, then you have to make everyone important. Sergio [Rodriguez] and Felipe [Reyes], if you look at the stats, shined. But the defensive work on Navarro by Sergio was tremendous as well. I can speak highly of all of the players." "I am really happy to be here. This is recognition of all the hard work all year. 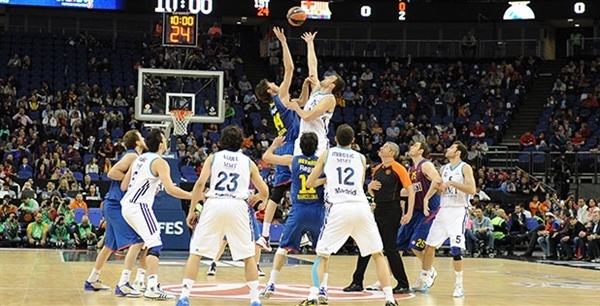 But we will be facing the Euroleague champions and I know it will be a very difficult match-up. I watched some of the other semi-final, Olympiacos was totally dominating the game from the beginning, playing the way that they have been playing the whole season – smart, moving the ball, tough defense, and playing with a lot of players. We are playing the champion. They deserve it. They have so much depth and so many great players it’s going to be such a tough game." "We played a really bad second quarter. We managed to get the lead in the first quarter but stopped playing defense. Madrid got a good lead which allowed them to win the game. The detail that decided the game is that we were not focused in the key moments. We stopped playing defense when we were up by 9 and Madrid took off. And against a team like this, if that happens, that's it." 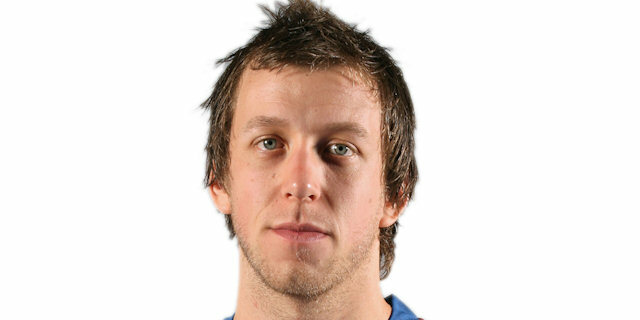 "I think we had everything ready to round out a great season - reaching a Euroleague final with the chance to win the title. We had the game in our hands and were not able to win it. We allowed six layups in the fourth quarter, under the basket. That affected as a lot. We put a big effort out there with all the injuries we had. It is tough not to have the prize of winning this game, which I think the team deserved." "We were leading with four or five minutes to go and to lose that lead so quickly is really bad. Our defense was pretty bad in the last couple of minutes and you cannot do that against a good team. When we had a 9-point lead, we had to be smart and take care of the ball, get good shots, but we did everything wrong." "It is a shame, especially the way the game went. We saw we could have won the game, but they played better than us in the final minutes. We had a couple of key turnovers when we were up by 7-8 points, which led to easy baskets. We were in the foul penalty and couldn't foul to stop their fast break points. A layup-plus-foul by Reyes and so many offensive rebounds allowed finished us down the stretch." "Even when Barcelona got an 8-point lead, we didn't fall apart. The players that came off the bench and let our starters rest stepped on court with more energy. With the help of everyone – in this case, I had the chance to offer many things on offense, but always with the help of my teammates. It is very important, it means a lot for us to put Madrid back on top. I hope that we can do it on Sunday. 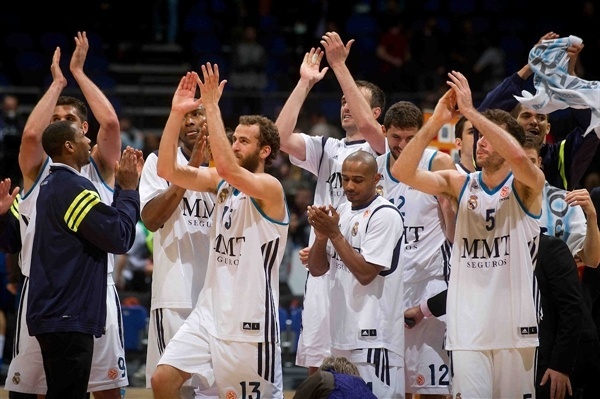 We face a strong opponent that has proved to be a powerful team, especially on defense. It will not be easy. This is an important win but we haven't done anything yet, as the big game is on Sunday." "Barcelona put up a big fight, but we got the win eventually, and that's what matters right now. What made the difference for me was the second half. We played a lot of zone defense and that's how we came back to the game. Our intensity helped too. We had to find energy to come back like that in the closing quarter. It's the first title game for Real for many years, and I'm very happy I returned to the Euroleague and this is what I experience already in the first season. 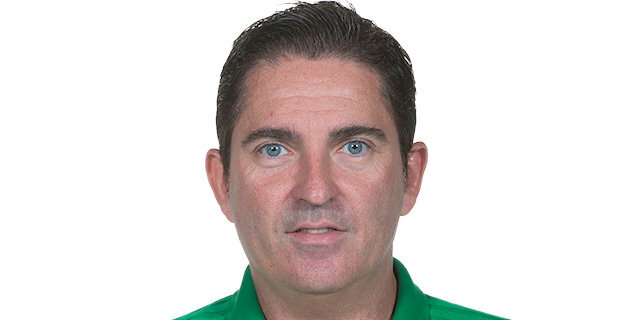 We have less experience than Olympiacos because they won the title last season and managed to keep a lot of players on the roster, but we still have very good players who can step up and win the game. We want our fans to celebrate on Sunday night. The whole season is on the line." "Very important win for us today. It was anything but easy, but we got it and now we need to get one more. We have a long rivalry with Barcelona, but already this season we faced them several times and we had some open accounts to close. This win is very important for us and our fans. It's great that we made it after a very tough game. We had some ups and downs during the game, but it's natural. We have Olympiacos now in two days. We'll rest tonight and from tomorrow morning we're all focused on how to beat them. They are a very good team, and everybody know that. They play like a unit but we do that too. It's 40 more minutes of basketball for the title. It's always an exciting experience. We'll go out there to win it." "We are happy. Both teams knew each other. They played good, but we played better. Our team wants to do big things, so we play with a heart. In the key last quarter, we made some important baskets, improved on defense and we also controlled the rebounds. We want to win on Sunday, but we need to improve because we know Olympiacos has really good and experienced players." "It was a very tough game, like every game we play against Barcelona. The key to this game was that we stuck together for all 40 minutes, even when things were not going good for us." 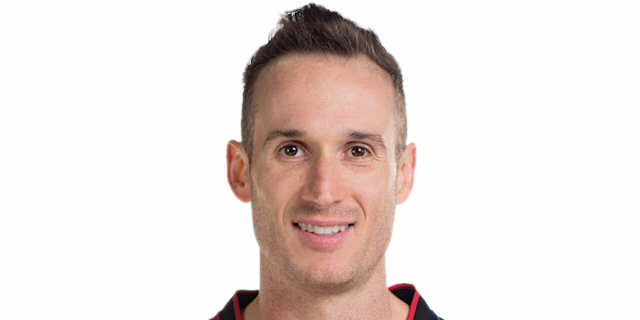 "I expected us to come out and be good from the get-go, but it took us some time to get some of the anxiousness out. The fourth quarter comeback was big. We have been in that situation a couple of times earlier this season, we have confidence we can always get a couple of quick baskets. We were able to lock up on defense, get some turnovers and start to score. That put the pressure back on them to try to score, and we took advantage of it."